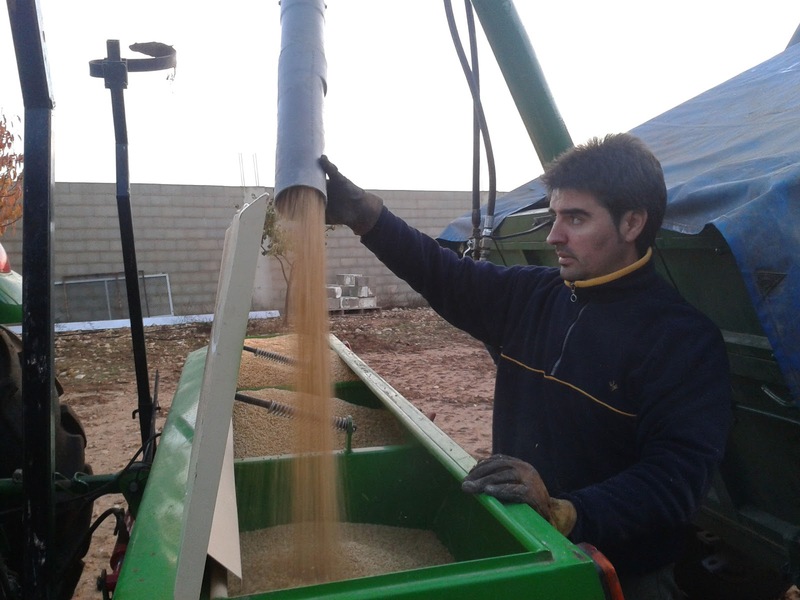 Once we have prepared seed bed (which is perfectly ready), the seeds have been cleaned and they are in our trailer; we only have to start sowing as quickly as possible because these days are rainy and we have to stop for problems with rain and mud. 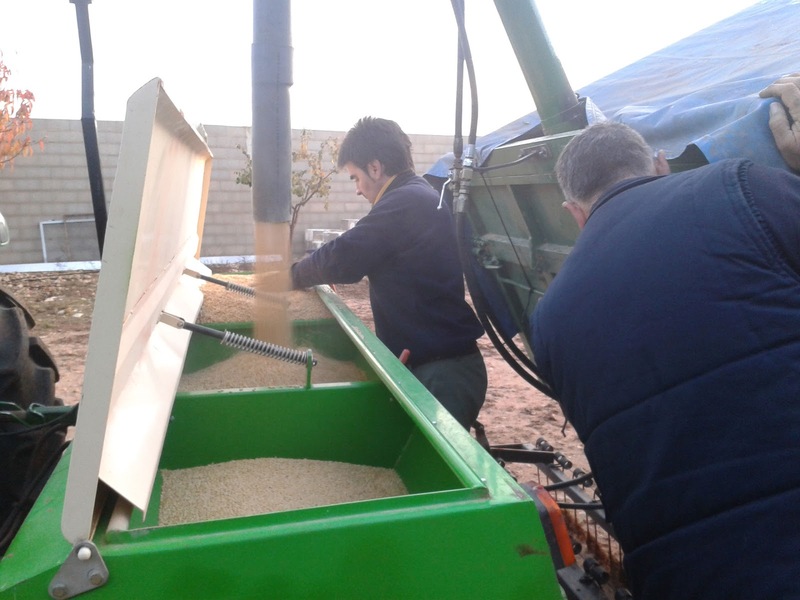 The unloading auger makes easier our task and we can do it speedily too. 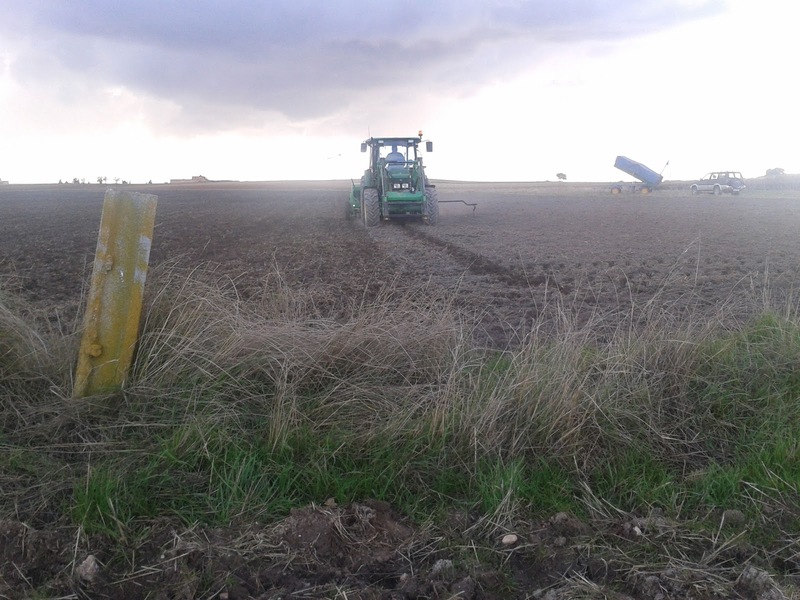 It takes us about 2 minutes for loading our seed drill (of course, we are talking of a small seed drill, which has a tank of 350 kg). We have to carry our trailer from one to another field in order to save journeys to the village, so that is an additional time we have to add to our working day, in the morning and in the evening. When we have all tools in the field, we can get down to work. We are sowing barley, triticale, bitter vetch and vetchling for this year. We discarded wheat and vetch because we got bad results the last year. It is the first time we sow vetchling. We will check what results we achieve. 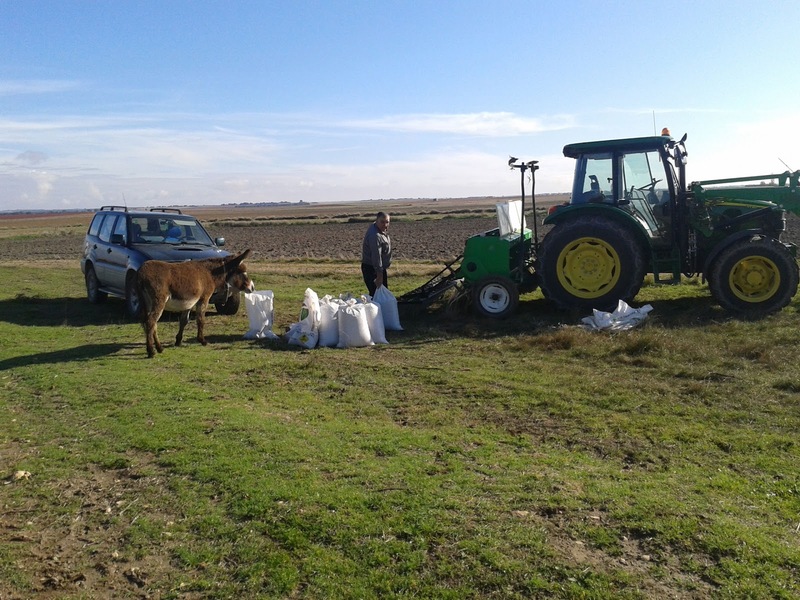 Finally, as you can see in a picture, we had a visit of a donkey, which go with a flock of sheep near our field, when we were to finish sowing triticale. He wanted to eat triticale of our bags... it was funny. hectárea siempre, siempre, en cualquier idioma, se escribe como ha (y las unidades nunca llevan punto). Disculpad mi vena docente. 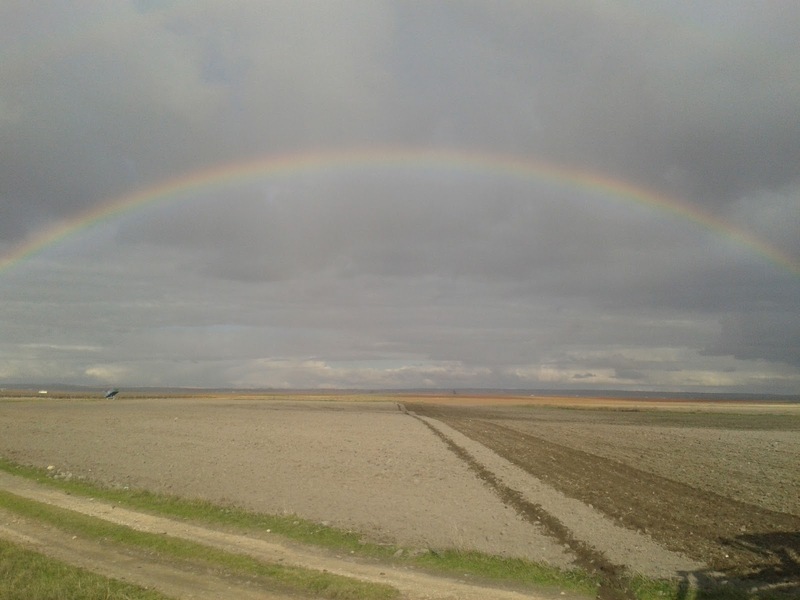 Me han gustado mucho las fotos y me produce mucha envidia ver como se gestiona bien una finca familiar. Vamos a ver si el año metereológico acompaña. Gracias por tu comentario y corrección. Ya está solucionado y apuntado para futuros casos. Muy buen reportaje y muy buenas fotos. Me han gustado los marcadores de la sembradora, no les había visto así nunca. Buen invento los acoples a la sembradora. Yo les paso por encima de ella para cargar, y una vez que te acostumbras es bastante cómodo. Así es Lolo. No usamos ningún tratamiento para la semilla y los resultados son iguales que cuando los usabamos.